'The best in the world,' agreed Rainsford. 'Perhaps the jaguar does,' observed Whitney. 'Nonsense,' laughed Rainsford. 'This hot weather is making you soft, Whitney. Be a realist. The world is made up of two classes -- the hunters and the huntees. Luckily, you and I are hunters'." -- Richard Connell, "The Most Dangerous Game." Over the course of the past several hundred years many individuals and groups have attempted to eradicate cats from the face of the earth but no matter how hard they have tried none of them have succeeded. Now, Professor John Read of the University of Adelaide in the state of South Australia believes that he has discovered their Achilles' heel and with that knowledge he and his cohorts are intent upon succeeding where all others so far have failed. In order to achieve that objective, he has turned the tables on the species by transforming their penchant for cleanliness into their Waterloos with the invention of his robotic grooming traps. Seven years in development, the traps employ audio recordings of female cats in estrus, rats squealing, and birds in distress as well as a liberal smattering of feline urine and feces in order to lure in their victims. Not true traps in the sense of that word in that cats do not need to actually enter them; in fact, the traps' sophisticated lasers are capable of not only detecting their presence from as far away as four to five meters but of positively identifying them as cats as well. They therefore function much more like the blinds used by deer hunters and others than they do as actual traps. Once cats come within range, the traps automatically fire syringes loaded with either sodium monofluroacetate (1080) or paraaminopropiophenone (PAPP) at them. When they then instinctively attempt to lick off the poisonous gel they unwittingly seal their fates. Simple yet "beautiful," is how that he described the traps' design to the Australian Broadcasting Company (ABC) on April 20, 2016. (See "State-of-the-Art Technology Targets Feral Cats in the Outback.") "When we have a cat-sized animal walking past them the grooming trap (sic) sprays a measured dose of toxin onto the fur. Cats are very fastidious groomers so they lick (the gel) off and walk away and die peacefully. The trap then automatically resets itself with twenty loaded syringes." Although there cannot be any denying that Read is a clever chap, that is only half the story in that he also is a sadistic and remorseless killer without so much as an iota of decency in his black soul. Even more important than that, he is a bare-faced liar! First of all, 1080 is a metabolic poison that shuts down a cat's Krebs cycle by causing cells to die and its blood to turn to acid. Some of the symptoms commonly associated with its ingestion include, inter alia, nausea, vomiting, salivation, abdominal pain, sweating, urination, defecation, confusion, agitation, irregular heartbeats, twitching, seizures, convulsions, frenzied behavior, and hyperesthesia (an acute sense of pain, heat, cold, and touch). Cats eventually lose consciousness before lapsing into comas where they die of heart and respiratory failure. Even then, the dying process can take as long as twenty-four hours. PAPP works in a similar fashion and is every bit as painful to its victims as 1080. Developed by Professor Linton Staples of Animal Control Technologies Australia of Melbourne with the assistance and support of, not surprisingly, the Australian Wool Innovation and the federal government in Canberra, it converts hemoglobin into methemoglobin, a form of nitrate poisoning, which cuts off the cats' oxygen supply. They then turn blue due to a lack of oxygen in the blood (cyanosis) and become lethargic before dying. The only advantage that it is touted to have over 1080 is that it allegedly is capable of suffocating a cat to death within an hour although some studies have shown the poison to take more than four hours in order to kill one. None of that has in any way dissuaded Staples from trumpeting the same outrageous lies as Read. "The cause of death is actually a lack of oxygen," he told the ABC on June 10, 2016. 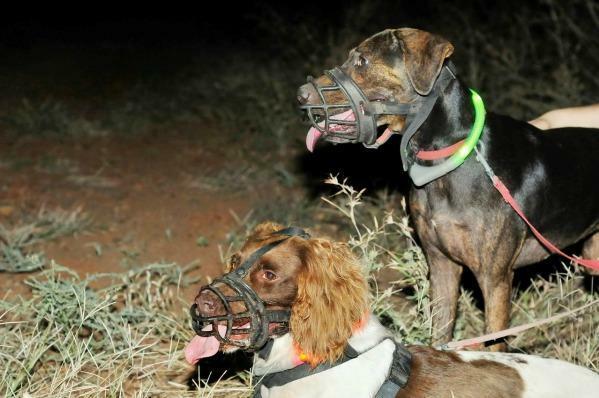 (See "Wild Dogs: First New Bait Released in Fifty Years to Tackle Australia's Rural Pest.") "The animal just falls down, gets tired, goes to sleep and dies." Quite obviously there is absolutely nothing humane about either poison. In fact, both are barbaric and hideous chemicals to use on any creature. In addition to serving to help slake Read's insatiable lust for feline blood, his grooming traps also have their financial and labor-saving appeal. "Unlike a conventional trap you don't have to go and shoot or gas the cat, you don't have to contain it at all," he gloated to the ABC in the April 20th article cited supra. "Ethnically it's a lot better than having a cat caught in a leg-holder (sic) trap or a cage trap for many hours, and you don't have to go around and check the traps all the time." C'est-à-dire, the traps are a lazy and stingy man's method of killing cats in that all that remains for him and his partner in the commission of these unconscionable crimes, spouse Katherine Moseby who also struts, preens, and gases for the University of Adelaide, to do is to collect the dead bodies. Suffice it to say but for a diabolical monster like him to be taking on about ethics would be a hoot if his crimes were not so horrific. 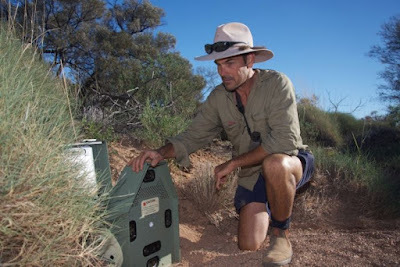 Nevertheless, the traps are already in use in Venus Bay Conservation Park as well as Wilipena in South Australia, the Pullen Pullen Reserve in western Queensland, and on Kangaroo Island, one-hundred-twelve kilometers southwest of Adelaide. Plus, once Reed and his cohorts finish off the cats they next plan on training the grooming traps on red foxes. "A fox is a fairly similar shape to a cat, but with a bit longer legs, so the same sensors will get a fox as well, but in some early trials we found the foxes did not groom the whole dose off," he lamented to the ABC on August 4, 2016. (See "Grooming Feral Cat Traps Proving South Australian Invention a Top Idea.") "We are in the pen where I have been putting some foxes and trialling different flavors to see if a bit of shrimp or beef or liver entice them to groom a bit more thoroughly. So ideally we would have something that could get both foxes and cats, but keep our dogs and native animals safe." Although the cutthroat Australians have been poisoning cats and other animals with 1080 for as long as perhaps World War II, it was not until late 2007 that the Australian RSPCA (ARSPCA) of Deakin, outside of Canberra, finally saw the light. "Based on the evidence available, our conclusion is that animals affected by 1080 do not die a (sic) quick and humane death (sic); rather they suffer a range of potentially painful and distressing symptoms, often over a period of hours," the organization's Miranda Sherley stated in a November 15, 2007 press release. (See "1080 Is Not a Humane Poison: International Journal Publishes RSPCA Paper.") "We can no longer kid ourselves that 1080 is an acceptable option; we urgently need to focus efforts on finding ways to make 1080 more humane, or otherwise finding more humane ways to control pest animals." On the one hand, although Sherley's epiphany came way too late she and the ARSPCA are to be commended for belatedly coming somewhat to their senses. On the other hand, her assertion that 1080 ever could be made more humane can only be labeled as a prime example of either wishful thinking or outright mendacity. Secondly, it is the height of dishonesty for her to claim that there is any humane way of killing any animal. Thirdly, the only true pests in this world are those monsters that strut about on two legs. Much more to the point, for an organization charged with protecting animals Sherley's comments in that regard are an abomination. Every bit as appalling, the conversion that she and her colleagues at the ARSPCA profess to have undergone lasted only about as long as it takes a supposedly recovering alcoholic to sprint from a detoxification center to the nearest liquor store. That is because when it came to finding a so-called humane alternative to 1080 that it could endorse the organization did not even bother to look beyond its own upturned nose. "We believe from the available evidence that PAPP is a more humane alternative to 1080, but we are still waiting for a full humaneness assessment to be conducted," the organization's Bidda Jones told the ABC in the June 10, 2016 article cited supra. The ARSPCA's equivocation can be easily explained by its membership on the government's Feral Cat Task Force which is overseeing its all-out war on cats. Furthermore, given that 1080 is still being used extensively by all conservation groups, municipalities, national parks, and pastoral stations, its denouncement of it is not to be taken seriously. Long before Read had racked his warped gourd in order to come up with his lethal grooming traps, both 1080 and PAPP were being used to eradicate cats on both the mainland as well as on many of the continent's eight-thousand-two-hundred-twenty-two islands. The usually preferred method of killing them is to lace sausages comprised of seventy per cent kangaroo meat, twenty per cent chicken fat, and ten per cent digestive and flavor enhancers with the poisons and then to dangle them from tree limbs. Whenever she is not dutifully trudging along behind her hubby when he is setting his grooming traps, Moseby is busily working on developing toxic microchips. These so-called "toxic Trojan horses" are to be implanted, not in cats, but rather in species, such as quolls, that she and her fellow thugs are championship. Over the course of the next ten to twenty years, the Australians also are intent upon infecting cats with some kind of as of yet unspecified viral agent that will wipe them out in one full swoop but such an approach is fraught with many uncertainties as well as wholesale dangers. "We have to make sure that anything we do is safe and targeted because there are plenty of examples of biological controls which have not just failed but have been deeply counterproductive," the chief architect of Australia's all-out war on cats, former Environment Minister Greg Hunt, pontificated to The Australian on June 2, 2014. 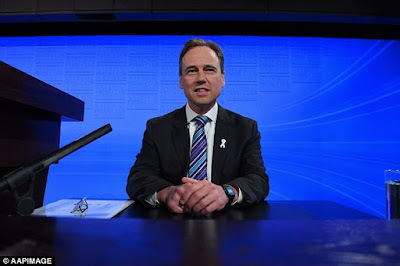 (See "Greg Hunt Calls for Eradication of Feral Cats That Kill Seventy-Five Million Animals a Night.") "So in the way that the Hippocratic Oath starts with the message of 'do no harm' that has to be the message with regards to any medium term biological control." Needless to say but by that Hunt is referring to safeguarding the well-being and lives of only those species that he and his fellow villains favor. Whenever it comes to cats and other animals whose presence is no longer wanted, the sky is the limit as to the cruelties that he is willing to inflict upon them. They additionally have been liberally infecting the species with the Rabbit Calicivirus Disease (RCD) from as far back as 1991 but since the animals have been able to develop immunities to it that has forced them into developing ever new strains of the killer. "What that's (the rabbit eradication biological pipeline plan) trying to do is recognize that we have to put out new strains of the rabbit calicivirus at key points, to keep numbers low, rather than just waiting for numbers to bounce back, going into crisis mode and then trying to do what we can," Andreas Glanzig of the Invasive Animals Cooperative Research Centre (IACRC) at the University of Canberra told the ABC on November 25, 2015. (See "Rabbit Control Plan Plays the Long Game to Contain Devastating Pest, Protect Threatened Species.") "What the twenty-year plan is all about is making sure we've got new strains of calicivirus coming out every five to eight years, so that when the effectiveness of one strain starts to decrease we've got a new rabbit bio-agent ready to go." Instead of using homeless cats in order to keep the rabbit population in check and thus to avoid another ecological catastrophe such as the one that occurred on Macquarie, the Australians are hellbent upon eradicating both species by any means that presents itself to them. "So tackling rabbits can also help us to tackle feral cats, which are the single biggest threat to our mammals," Threatened Species Commissioner Gregory Andrews added to the ABC in the same article. "By working on tackling feral cats and rabbits together, we can save at least three-hundred unique Australian animals." Scientists additionally have invented a strain of the herpes virus known as cyrinid herpesvirus 3 that they plan on introducing into the nation's rivers sometime in 2018 in order to kill off carp. Dubbed as carpageddon by the fun-loving, albeit morally bankrupt, capitalist media, the authorities are counting on the virus to kill between seventy and eighty per cent of the fish without simultaneously adversely affecting more prized aquatic species. Like all agents used in biological warfare, cyrinid herpes 3 is an especially nasty killer. Specifically, it attacks the kidneys, skin, and gills of the fish and, like 1080, PAPP, and myxomatosis, shuts off their supply of oxygen. Once infected, it takes the virus up to seven days in order to multiply and thus to spread throughout their systems. Even following the onset of the first symptoms, it takes at least twenty-four hours for the fish to die. Unwilling to even so much as acknowledge either the humongous toll in innocent lives that he is going to be taking or the unprecedented amount of suffering that he will be inflicting upon the carp, federal science minister Christopher Pyne is instead training his misshapen gourd on more mundane concerns. "As you can imagine there is a lot of work to be done in preparation," he confided to the New Scientist on May 3, 2016. (See "Australia to Destroy Alien Carp by Releasing Herpes into Rivers.") "Because suddenly, there will be literally hundreds of thousands, if not millions of tons, of carp that will be dead...So we have to have a clean-up program." His attitude is not really all that surprising in that once the politicians and the totally unprincipled professors and scientists who stooge for them have taken away an animal's birthright and declared it to be a national pest, it is just a matter of time before they systematically eradicate it. Consequently, the only thing positive that can be said about this garbage disposal expert's callousness is that he, at least so far, is not falsely claiming that the dead fish are going to be given to the poor. Exactly what other types of deadly biological controls that the scientists within Australia's thoroughly discredited degree mills and governmental agencies have up their dirty sleeves has not been revealed but if cyrinid herpes 3 is any indication of what is to come they will be equally hideous, clever and, above add, deadly. For the sake of the animals, the best that can be hoped for is that one of their forays into biological warfare will backfire on them before too many more innocent animals are killed and instead wipe them from the face of the earth while simultaneously sparing the lives of their intended victims. Although such a devoutly wished dénouement never would be able to fully make amends for all the evil deeds that they have committed against the animal kingdom, it would be preeminently just. In the meantime, they still have at their disposal an array of old-fashioned means with which to kill cats. 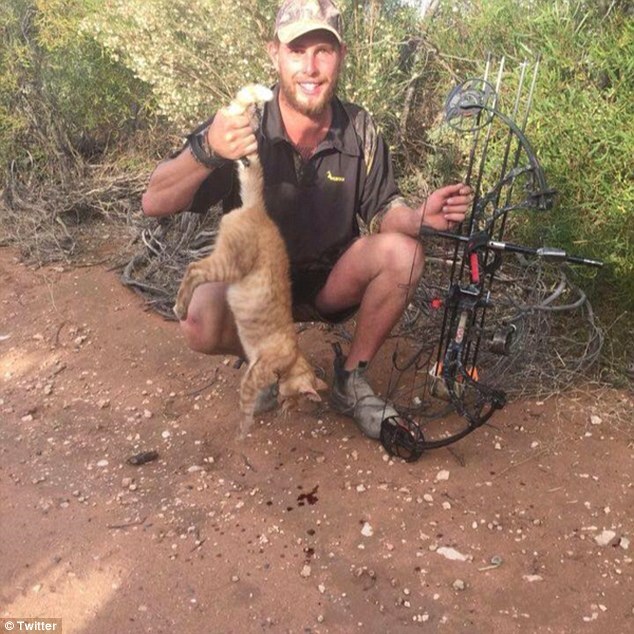 On Kangaroo Island, twenty-two-year-old Zach "Shaggy" Slattery and Aaron Wilksch have been having a high old time of it cutting down cats with crossbows. In fact, Slattery is so proud of his atrocities that he published photographs of his kills online last December. It did not take him long, however, to recover from his initial shock and in turn to go on the offensive by labeling his detractors as ignoramuses who should be thanking him for performing a public service. "It's just that some people don't understand the efforts and shots we make are one-hundred per cent humane, ninety-nine per cent of the time," he added to the Daily Mail. "With a bow it's quite sudden. You're going for shock and blood loss, so it's quite quick." Surprisingly enough the ABC, which from the outset has functioned as Hunt's and Andrews' number one cheerleader, decided to take Slattery upon on his assertions and accordingly accompanied him and Wilksch on one of their killing sprees. Over the course of an afternoon, presumably sometime in February, one of Rupert Murdoch's scribes witnessed the duo shoot at and miss two cats while wounding a third one which disappeared into the brush and never was found again, either dead or alive. In spite of that direct refutation of his earlier assertions, Slattery afterwards was still humming the same old tune. "It's not so much that it takes longer to die. It's just that they'll go somewhere where they can just quickly hide," he vowed to the ABC on February 24, 2016. (See "Bow Hunter Targeted with Global Hate Campaign for Shooting Feral Cats in Australia.") "It'd (the wounded cat) be well and truly expired by now. It's just (a question of) trying to find it under the thicket." For whatever it is worth, Andrews later denied that Slattery and Wilksch were employed by the Australian government. "My office has had no contact with them, and when I met the mayor and the Natural Resources Management chair and the community there, I was advised they are not employed by any organization or the community to cull feral cats," he declared to the ABC on March 13, 2016. (See "Bow Hunting of Feral Cats Is Cruel and 'Not Part of the Strategy,' Threatened Species Commissioner Says.") 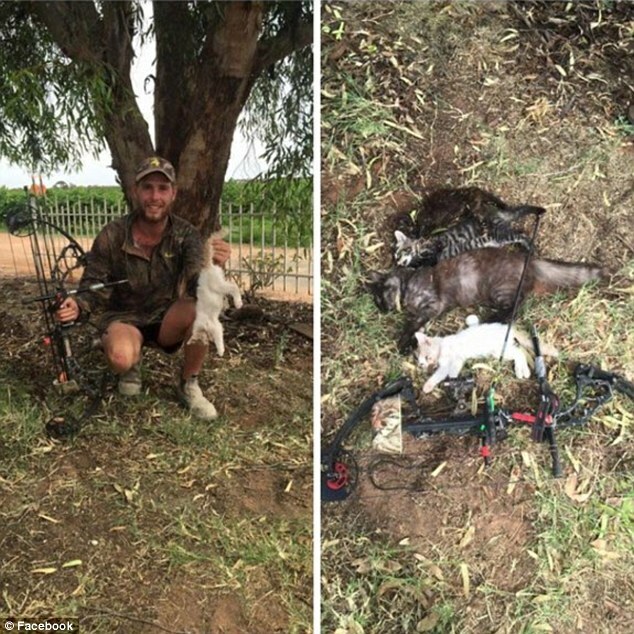 "The Australian government does not support bow hunting. We only support humane, effective and justifiable feral cat culling, and that's why (former) Minister Hunt and I invited the RSPCA to be a member of the Feral Cat Task Force which oversees the feral cat target." As far as Andrews' assertion that the authorities only support the humane killing of cats is concerned that, quite obviously, is pure drivel. The only thing that concerns him is that the killers went online and exposed for all the outside world to see a tiny bit of what is going on down under. By contrast, the horrendous crimes that Read, Moseby, Staples, and others are engaged in perpetrating against cats are occurring far from the prying eyes of the maddening crowds and thus escape both censure and ever becoming part of public consciousness. It is, after all, one thing to read about cruelty to cats in the abstract but an altogether different matter to see it up front and in living, blood-red, color. Only by hiding their atrocities from the outside world while simultaneously demonizing the species through their outrageous lies are the likes of Andrews, Hunt, and their adherents still able to keep up the pretense that they are anything other than the worst monsters to ever have trodden upon the face of the earth. In their full court press against cats, the Australians have vowed not to leave any stone unturned and that includes outsourcing their dirty work to other animals. First and foremost among them has been their widespread use of the species' oldest nemeses, dogs. Even wild dogs, outlaws in their own native land, are being called upon to kill cats. 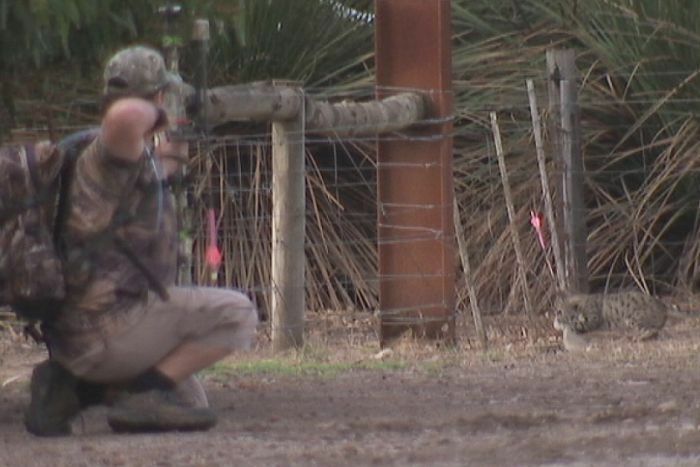 For example, with the full support of the Australian Dingo Foundation (ADF) of Gisborne in Victoria, they are scheduled to be reintroduced into Eynesbury Forest in the state of Victoria in order to hunt rabbits and foxes as well as cats. In the meantime, four sterilized dingoes have been released on Pelorus Island, off the northern coast of Queensland, in order to eradicate three-hundred goats. In a sickeningly Machiavellian forerunner of Moseby's toxic microchips, tablets containing 1080 have been implanted in them that are timed to break open and kill them after the two-year period allotted them to get rid of the goats expires. Only an individual as cunning as Cesare Borgia could appreciate such perfidy. That latest bit of devilry is in response to the catastrophe that occurred on Townshend Island, off the coast of Queensland, in 1993 when dingoes were used to eradicate the goats living there. The dogs did their job all right but in the aftermath of the carnage it took the Australians more than a decade in order to kill off them. Before that happens on Pelorus, local authorities have vowed to shoot the dingoes but that does not appear to be likely in that even Ramon Jayo, mayor of Hinchinbrook Shire in northern Queensland which released them, is on record as stating that it has proven "pretty impossible" to shoot even the goats owing to the island's heavily forested terrain and shooting wild dogs will be unquestionably more difficult. Besides, the frugal Australians are not about to spend the kind of money that they did earlier on Lord Howe Island, off the coast of New South Wales, where they finally broke down and employed both aerial and ground sharpshooters in order to wipe out a herd of goats. Although there scarcely can be any denying whatsoever that the Australians are moral degenerates without so much as a scintilla of regard for the sanctity of animal life in their bones, it nevertheless is nothing short of mind-blowing how that they do their sums. For instance, Lyn Watson of the ADF sees absolutely nothing wrong with dingoes killing cats, foxes, and rabbits but, typically, she claims that it is immoral for the authorities to kill dingoes. In spite of the dingoes obliteration of the goats on Townshend, she additionally is now claiming that they are much too lazy for the arduous job given to them on Pelorus. "A dingo killing a rabbit is a very quick death, less than a minute. It's a quicker death," she caroled to the ABC on July 27, 2016. 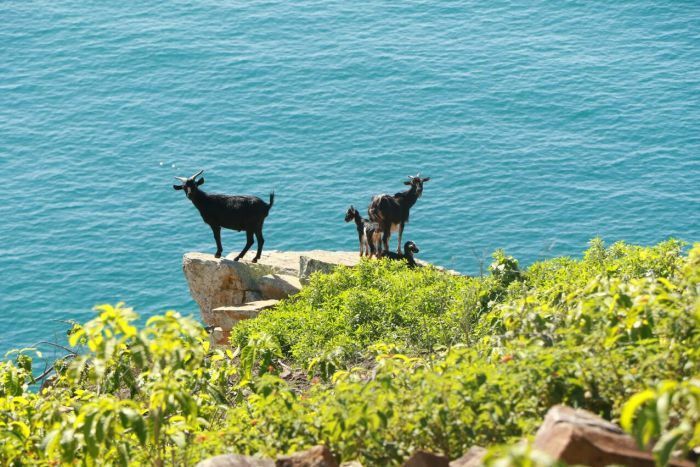 (See "RSPCA Wants to Stop 'Cruel' Dingo Cull of Feral Goats on Great Barrier Island.") "But if you put them into killing goats I don't think that's going to happen. They're too big for them to waste energy on to get a feed when there's something smaller." 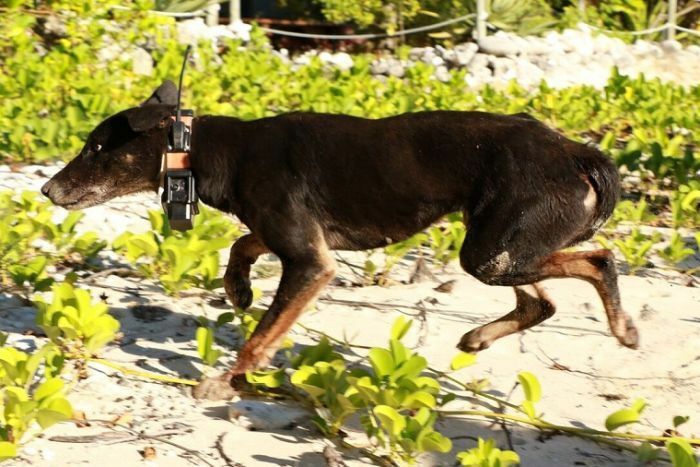 Like an ill wind that never blows any good, the thoroughly despicable ARSPCA, which does not have any reservations whatsoever about what is now being done to cats, is crying a proverbial river for the goats and dingoes on Pelorus Island. 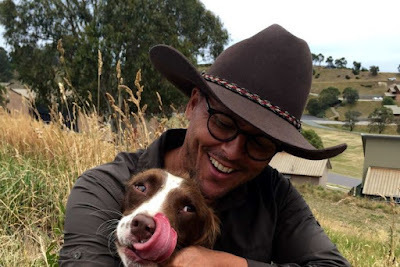 "By sticking some wild dogs in a situation where those goats will be eaten, partly eaten and then left to die a (sic) horrible painful death (sic) is the wrong attitude for 2016," the organization's Mark Townsend blowed to the ABC on July 27th. From there he went on to show his and the ARSPCA's true colors. "We have no problem with the control of feral animals. But we have to kill those feral animals in a humane way," he added. "We need to make sure that the council uses sharpshooters or whatever other method, rather than this very cruel method." The Pelorus cull is not without its supporters, however, and Dr. Ray Nias of the South Pacific Program for Island Conservation of Santa Cruz is already salivating over the money to be saved. "It could be quite a game-changer in how we go about the business of removing goats from islands," he crowed to the ABC. "If there are cheaper techniques which are as effective, such as the one that's being talked about for Pelorus, this could dramatically increase the number of islands around the world we could potentially remove goats from." The Australian Conservation Foundation of Carlton in Victoria has likewise endorsed the slaughter but with a half-hearted sop to the dingoes. "It would be preferable that it is not at the destruction of these dingoes which they are using for that," the organization's Andrew Picone groused to the ABC. "It seems the dingo is being treated simply as a pest control unit and not given the respect of a native species which we believe it is." Guy Ballard and Peter Fleming of The Conversation of Boston are equally equivocal in their assessment of the atrocities currently being perpetrated on Pelorus. "Some people find the notion of dingo-based pest control acceptable, even appealing, others do not," they wrote in the August 7, 2016 edition of the online journal. (See "Death by Dingo: Outsourcing Pest Control Raises Uncomfortable Questions.") "Just as society expects that we carefully assess the use of poisons, traps or bullets, so too we should consider the welfare impacts of outsourcing death to dingoes and making them our tools of ecosystem management." In even venturing to voice that narrowly circumscribed objection, the authors have badly missed the mark in their analysis. As the events currently unfolding in Australia are demonstrating, few if any serious objections are ever raised against the use of poisons, traps, bullets, biological warfare, and all other means employed in order to kill large numbers of animals. In reality, all legitimate animal rights activists are totally excluded from the decision-making processes during which these totally immoral and inhumane slaughters are hatched and implemented. For instance, all legitimate cat advocacy groups have been systematically excluded from having any say whatsoever in Australia's all-out war on the species; only unscrupulous frauds like ARSPCA are allowed to participate. Plus, it is ludicrous for Ballard and Fleming to complain about species-on-species warfare and yet to remain totally silent concerning man's countless wars upon the animals. At least under the former scenario the intended victims have some, but not much, chance of prevailing for at least a short period of time whereas, as history has shown time and time again, no animal has any legitimate chance against men who are determined to eradicate it. "I support releasing Tasmanian Devils in mainland Australia," Rick Shine of the University of Sydney declared to the Scientific American on October 15, 2014. (See "A Wild Idea: Save Tasmanian Devils while Controlling Killer Cats.") "They belong here. We wiped them out and we have the opportunity to release them and hopefully save them from the tumor disease." It is superfluous to point out but sterilizing devils before releasing them into the wild is not about to save the species from extinction. Moreover, even in Tasmania they are routinely mowed down by motorists, killed by dogs, and poisoned by residents. The Australians' willingness to so hideously exploit native species, such as dingoes and devils, in order to kill cats and other domestic animals that they imported centuries ago puts the lie to the dishonest distinction that they and all wildlife biologists are fond of making between indigenous and alien species. The ugly truth of the matter is that every one of these twenty-four karat phonies is willing to kill any animal provided only that they are handsomely compensated for doing so. "Man is the only animal that robs his helpless fellow of his country, takes possession of it and drives him out of it or destroys him. Man has done this in all the ages," Mark Twain had the courage to point out in his 1896 essay, "The Lowest Animal." "There is not an acre of ground on the globe that is in possession of its rightful owner, or that has not been taken away from owner after owner, cycle after cycle, by force and bloodshed." In order to succeed, any large scale eradication project first requires detailed data on, at the very least, the personalities, behavioral characteristics, and habitats of the intended victims and in that regard the Australians have been greatly assisted in the commission of their wholesale crimes against cats and other animals by fairly recent developments that have been made in surveillance technology. For example, GPS radio collars and cameras as well as motion-activated hidden cameras on the ground are forcing unsuspecting felines into revealing the very same information that is enabling their enemies to eradicate them. There is even a Feral Cat Scan app that citizens are being encouraged to utilize in order to rat out footloose felines. Those individuals who are willing to do their own dirty work, kill the cats and then post selfies of their brutalities in the app's photo gallery. Others simply call in the authorities to do their bloodletting for them. From their relentless spying, the Australians are now claiming that even deadly and destructive wildfires are actually beneficial to cats and they, not surprisingly, are now endeavoring to once again turn the tables on the species like Read has done with his robotic grooming traps. Their new strategy entails deliberately igniting smaller conflagrations that they hope to be able to contain as a means of staving off more catastrophic ones which destroy even greater portions of the habitats of the animals that they, allegedly, are intent upon safeguarding. Conspicuously absent from the profuse anti-cat propaganda being disseminated by governmental officials, the degree mills, and phony-baloney wildlife advocates has been any mention whatsoever of either the adverse effects that human activities, such as coal mining and burning, oil and gas exploration, sheep and cattle grazing, agriculture, logging, and the widespread use of pesticides, herbicides, and cat poisons, are having on the continent's fragile ecology. Au contraire, earlier this year the government strong-armed the United Nations Educational, Scientific and Cultural Organization (UNESCO) and the United Nations Environment Program into redacting a section of a report that was highly critical of the impact that climate change is having on some of its World Heritage sites, such as the Great Barrier Reef, Kakadu National Park in the Northern Territory, and the Tasmanian Wilderness Area (TWA). The problem with the Great Barrier Reef is that it currently is undergoing significant coral bleaching which, unless abated, will ultimately lead to its death. Instead of tackling this pressing environmental concern Australia, already the world's fourth largest coal producer, is planning on doing the exact opposite by expanding mining, dredging, and shipping activities near the reef. It also dearly covets the beaucoup bucks that tourists shell out each year in order to visit the reef and that is another reason why that it had the United Nations' report censored. Along those same lines it goes almost without saying that if cats were caught so much as looking cross-eyed at their precious reef the Australians would be killing them right and left in a nanosecond and for a pretty penny to boot. In Kakadu, invasive grasses, water buffaloes, pigs, cane toads, and brumbies (wild horses) have been singled out for censure but the real culprit is mining. As far as the TWA is concerned, former Prime Minister Tony Abbott attempted in 2014 to have its World Heritage status revoked so that he could turn over the area, one fifth of Tasmania, to loggers. Just as it is the case with their supposedly great love for native species, the Australians bloated pronouncements on the environment are always heavily tinged with the musty and unmistakable smell of monetary considerations. Just as some individuals are said to be totally incapable of ever drawing so much as a sober breath, the same is likewise true of the Australians and their insatiable lust for shekels. "Australia is the only inhabited continent that is not featured in the report," Will Steffen of the Australian National University in Canberra superfluously pointed out to The New York Times on May 28, 2016. (See "Australia Gets Some Bad News from United Nations' Study.") "Information is the currency of democracy, and the idea that government officials would exert pressure to censor scientific information on our greatest national treasure (the reef) is extremely disturbing." 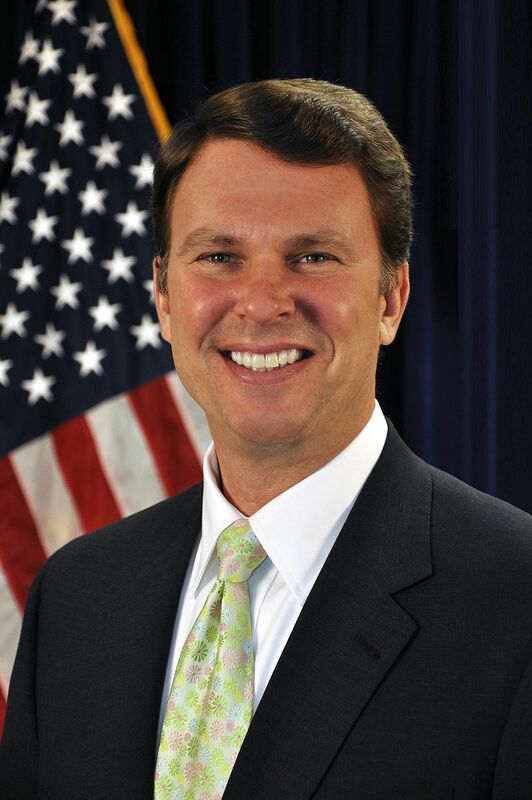 Although his comments are precisely the type of self-serving sottise that is to be expected from an entrenched member of the political establishment who has been excluded from the decision-making process, Steffen most assuredly is astute enough to fully realize that the volume of disinformation that circulates within any given society clearly outdistances its opposite by a good country mile. Likewise, it is always hackneyed opinions and special interests that masquerade as public policy just as lies and moral depravity serve as substitutes for truth and morality. A good example of that is to be found in the Australians' eagerness to sell protected species down the river for a buck. For example in early 2010, they sold out several such species that were then living on predator-free Barrow Island, off the coast of Western Australia, to a consortium made up of the Australian subsidies of Chevron, ExxonMobil, and Shell so that they could construct the A$45 billion Gorgon gas project. Initially, two-hundred-forty-five golden bandicoots, forty-one boodies, eighty-four spectacled hare wallabies, and eighty-eight possums were removed. Over the course of the following twelve years, the oil companies were scheduled to have given the boot to at least one-thousand animals per annum. Some of those that were uprooted were relocated to Hermit Island in the Montebello chain where the sands are still radioactive as the result of atomic bomb testing that was conducted there during the 1950's. Others were taken to Lorna Glen Station in the northern goldfields and the Cape Range National Park in Exmouth. Although it has not been publicly specified what eradications were carried out on the Montebello Islands and in the Cape Range National Park, Lorna Glen was pretty much cleared of foxes and fifteen per cent of the cats were eliminated in anticipation of the arrival of these protected species. "We have virtually eradicated foxes at Lorna Glen. We barely see a fox there, and in terms of feral cats we have reduced their densities to about eighty-five per cent," Neil Burrows of the Department of Environment and Conservation bragged to Fox News on February 22, 2010. (See "Australia Relocates Mammals to Radioactive Island.") "We have thinned them out but we haven't eradicated them." Another disturbing component of the Australians' cat-killing methodology is the glaring absence of so much as a scintilla of respect for the vanquished and that is demonstrated writ large not only in their unwillingness to provide them with proper burials but their macabre practice of transforming their corpses into guinea pigs. These unholy dissections are performed not only in order to use the inventories of their abdomens for propaganda purposes and research papers to be published in their so-called scholarly journals but also to assist their killers in perfecting their eradication schemes. One of the multitude of bloodthirsty Australians who shoot cats for the sheer pleasure of doing so is Bernard McClean of Geraldton in Western Australia. For instance, over the course of a twelve-month period stretching from roughly September of 2014 until September of the following year he shot and killed sixty cats. Even that amount of carnage was insufficient in order to slake his thirst for feline blood because instead of stopping there he went on to dissect, measure, and weigh each of his victims as well as to record their sexes and the GPS locations of where that he had murdered them. Following that, he relayed what he had learned not only to the authorities but to local farmers as well so that they, too, could join in the killing and merriment. "What we're finding that they're eating is just blowing us away, centipedes, box thorn berries, cantaloupes, snakes, lizards, beetles, you name it, olives, believe it or not," he exulted to the ABC on September 8, 2015. 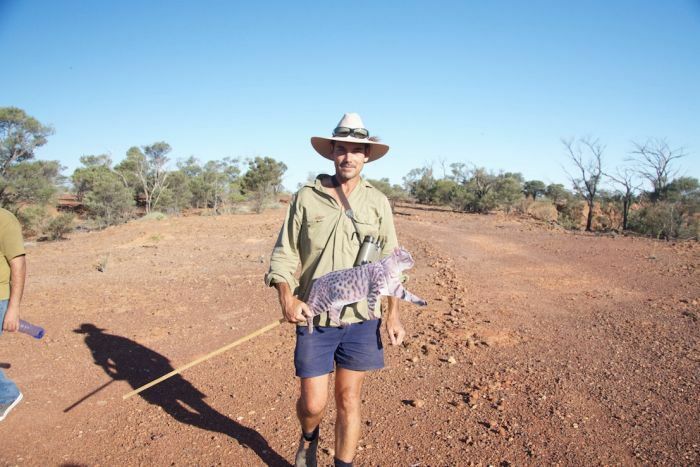 (See "Controlling Feral Animals in Western Australia and Learning What They Eat.") 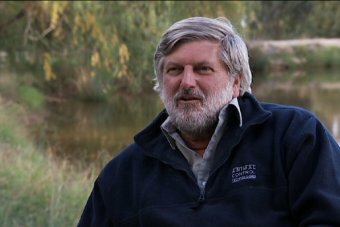 "Hopefully, (I'll) learn more about the animals, and really long-term try and keep the feral animal numbers in control." Although neither he nor the ABC will ever admit it, McClean's findings tend to disprove, as opposed to confirming, the government's case against cats. After all, insects, berries, fruits, and vegetables are not, contrary to whatever the authorities maintain, endangered species. The truer picture would seem to be that the cats are barely getting by themselves and that some of them even could be literally starving to death. Much more concretely, those who abandoned them to such a cruel fate should be arrested and charged with animal cruelty. That is not about to happen in a million years, however, because the Australians' modus operandi from the first day that they landed on the continent always has been to murder their victims, regardless of whatever species that they belonged to, and then to masticate the truth before reshaping it to fit their own nefarious designs. At the Cape Range National Park, near Exmouth in Western Australia, at least seven cats were trapped and then killed, presumably with gunshots to the head, during the last week of January this year by Derek Sandow and his accomplices within the Department of Parks and Wildlife. They, too, afterwards were dissected. Although the Australians never have divulged what it is that they do with the remains of those cats that they cut up, it is difficult to believe that a people as mad-dog for shekels as they are would simply toss them into the trash. They accordingly could be following the example set by noted children's author and wildlife proponent Kaye Kessing of Alice Springs in the Northern Territory by adding them to their diets. 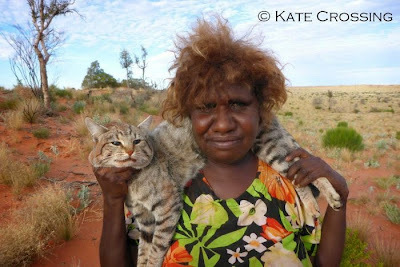 It is not merely the Chinese, Vietnamese, Indians, and other Asians who eat cats but the aboriginal community of Kiwirrkurra in Western Australia as well. 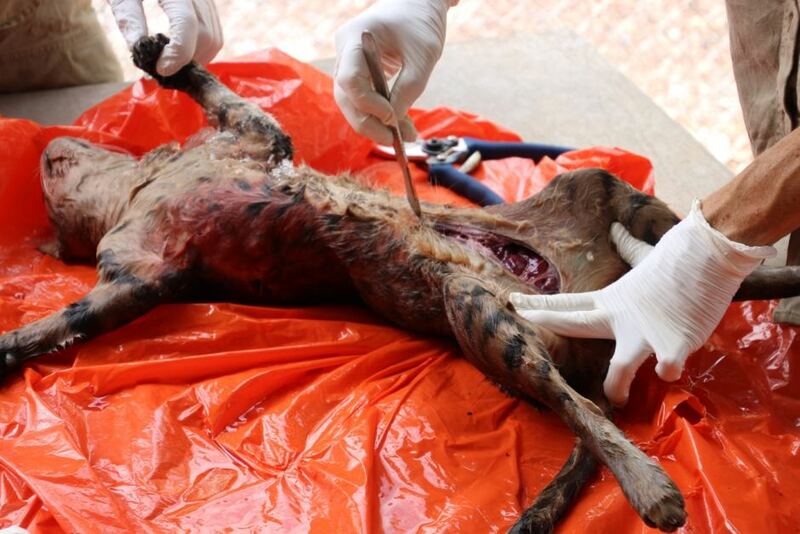 For example, back in 2014 Nolia Napangarti hunted down a cat that she subsequently killed, dissected, and ate. She then posed with it for the benefit of Kate Crossing of Alice Springs who in turn used the photograph in order to win the "People's Choice Award" in the annual IACRC's Feral Cat Photos Competition. Crossing, who passes herself off as a community worker, later bellyached that getting the prized photograph had left her knackered. In addition to consuming their flesh, those who dissect cats also likely traffic in their valuable pelts as well. That is exactly what park ranger Nigel Burgess does with the more than one-hundred cats that he annually traps and shoots on King Island, located midway between Melbourne and Tasmania. Burgess hates cats so much and loves money to the extent that he even kills those that have owners. "If it has got in my trap and it's a domestic cat, it should not be there," he declared to The Telegraph on July 9, 2008. (See "The Grandmother Who Turns Cats into Hats.") "Any cat that gets in my trap will be dealt with. I take a rife and shoot it in the head." In support of this onslaught, Hunt earlier had made some rather absurd claims. "There are up to twenty million feral cats taking up to four native Australian animals a night," he swore to the ABC on November 12, 2014. (See "Fact Check: Are Feral Cats Killing over Twenty Billion Native Animals a Year?") "That is over twenty billion Australian native species being destroyed a year." In the final analysis it really does not matter either how many cats, homeless and domiciled, that there are or how many or few animals that they are killing because as far as the ailurophobic Australians are concerned one cat is one too many. Even more regrettably, Hunt's war against offshore cats already has proven to be a stunning success. Eradication programs on the other three islands referred to by Hunt, King, Dirk Hartog, and Christmas, likewise are entering their final stages. In addition to those five islands, cats were eradicated on Tasman Island in 2011 and Kangaroo Island intends to get rid of all of its felines within fifteen years. "We have to reach a point where we don't have any cats on this island," Mayor Peter Clements vowed to the ABC on October 6, 2016. (See "Feral Cats: Kangaroo Island's Plan to Eradicate All Felines Within Fifteen Years.") "The feral cat is an apex predator. It is ruining our species here on the island and we are totally committed to eliminating all cats." Getting rid of those living on the mainland is going to take considerably longer but by using the islands as incubators for perfecting their killing methodologies even that herculean task may not turn out to be quite as difficult as first thought. Even those precious few that are allowed to go on living will have to be sterilized, licensed, and forced to spend their entire lives indoors. Almost as disturbing as the nature and scope of the crimes being committed against cats has been the seemingly complete lack of opposition emanating from ordinary citizens. As best as it could be determined, not only have there not been any public demonstrations but scarcely a contrarian voice has been raised in support of the cats' inalienable right to live. When all of that is taken into consideration along with those that are ratting out cats via the Feral Cat Scan app and the large numbers of farmers, ranchers, and sportsmen who are killing them for fun, it would appear that the government has succeeded far beyond all expectations in its campaign of demonizing them as devils incarnate. In order to turn an entire society into remorseless killers, however, the full support of the capitalist media is needed and in that respect their scurrilous reporting on this issue has been so one-sided and biased as to give journalism itself a bad name. In particular, it is difficult, if not entirely impossible, to find so much as either one positive word or photograph of a cat in its coverage. On the contrary, live ones are always depicted as snarling killers with some animal in their mouths whereas dead one and their entrails are paraded about as if they were nothing more than hunting trophies. For example, the blatant lies of so-called ecological designer and consultant John T. Rankine are typical of the daily fodder that the capitalist media feed to their readers and viewers concerning cats. 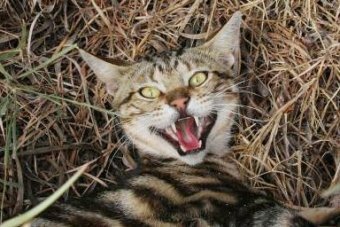 "Feral cats are not just misunderstood moggies, they are the Mr. Hydes of the animal kingdom," he bellowed like a banshee to The Brisbane Times on August 27, 2015. (See "Feral Cats Will Devastate Wildlife Unless We Use Scientific Methods to Cull Them.") "Give them three months in the wild and our charming moggie (sic) can turn from a purring Dr. Jekyll into a sophisticated killer the Mr. Hyde of our native wildlife, their purr turned to an horrific caterwauling." Given the extent of his prejudices, it would be only logical to conclude that Rankine would steer clear of them but that apparently has not always been the case. "For detractors who believe we just do not understand the nature of the cat and are inherently bullies, I invite anyone to spend five minutes in the same room as a feral cat and give their revised opinion," he continued. "I have done this and it is not something that I would advise anyone to do. It is an experience that has remained in my memory for many years." First of all, there are umpteen millions of individuals around the world who are not only more than willing to take him up on his challenge but who do so every day with the homeless cats that they not only feed and shelter but take into their homes and nestle close to their bosoms. Secondly, he likely is referring to the behavior of a solitary feline that he trapped and was planning on killing. When the frightened cat attempted to defend its life and limb, which is only its inalienable right, it not only scared Rankine half to death but in doing so furnished the tidbit of evidence that he had been searching for so long in order to transform his nascent ailurophobia into a full-blown disease. If that were not the case, he can be safely dismissed as either a bare-faced liar or a complete imbecile who knows absolutely nothing about cats. As is the case with all cat-haters, it is not always easy to determine the demarcation point that separates inveterate hatred of the species from abysmal stupidity. The nation's so-called humane groups would appear to have followed the lead of the ARSPCA and thereby sold the animals down the river to their killers. If not, they at the very least have gone into hiding and are afraid to so much as to even open their usually loquacious traps. Even then the organization appears to be more concerned about the efficacy of the government's cull than the injustice of it and the cruelty that it is inflicting upon cats. "It's worth noting that the primary and most significant threat to the continued existence of Australia's native species is the destruction of their habitats and food sources," the charity's Lisa Chalk told The Telegraph in the July 22, 2015 article cited supra. Opposition from the veterinary profession likewise has been almost nonexistent. The one known exception to that rule has been Canberra practitioner Michael Archinal who has publicly acknowledged that indoor cats are prone to both behavioral and bladder problems. "Some cats are very stressed when they are confined," he told The Sydney Morning Herald on July 28, 2015. "It can actually induce behavioral issues and some physical problems as well." In southern Tasmania, cat-killer Billie Lazenby of the Tasmanian Department of Primary Industries has conducted research that demonstrates that the so-called vacuum effect associated with eradicating cats is real, at least in mainland areas as opposed to islands. 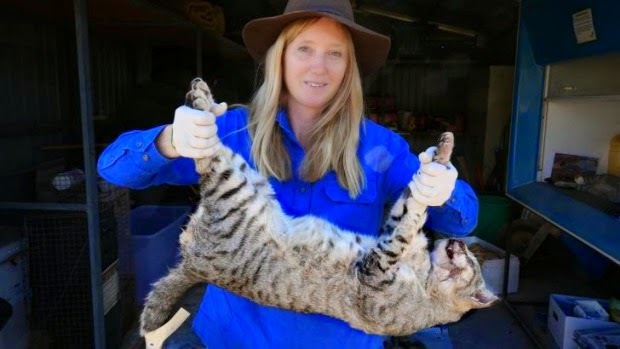 Through the use of baited and remotely-controlled infrared cameras she tallied the number of cats still present in areas where she previously had carried out eradications and dissections and came up with some surprising, at least to an ignoramus like her, conclusions. "In areas that I had tried to reduce cat numbers I recorded an increase in cat numbers," she confided to the ABC on April 7, 2015. (See "Culling Cats May Do More Harm Than Good.") "I actually had more cats running around on those sites than beforehand." The difference was not a minor one either. "We recorded a seventy-five to two-hundred-eleven per cent increase in the minimum number of feral cats known to be alive in the culled areas," she added. From all of that she belatedly has arrived at the conclusion that killing alone is not any panacea. Instead, she is now recommending that protective fencing be erected in order to keep cats out of certain environmentally sensitive areas as well as the construction of hiding places, such as log piles, for small prey animals. "You may be inadvertently doing more harm than good (by killing cats)," she summed up to the ABC. "What we really should be focusing on when we talk about managing introduced species like feral cats is reducing their impact. But it is really important that we keep in mind that you don't always reduce impact by reducing numbers, as one individual (cat) might cause ninety per cent of the damage." It is truly a shame that Lazenby did not take the time in order to acquaint herself with any of the relevant literature on the subject before she decided to kill so many innocent cats. Every bit as troubling, she is yet to completely repudiate her killing agenda despite the findings of her research. Even more shameful and revolting than the complicity of animal protection groups and the capitalist media in Australia's all-out war on cats has been the simply abhorrent conduct of the eggheads. To make a long story short, whenever there are money and reputations to be made, these low-life, egotistical, and bone-lazy bums who never have done so much as an honest day's work in their miserable lives quickly cast aside whatever residual morality, intelligence, and personal integrity that they may once have enjoyed and instead, like cockroaches spilling out of an old mattress, gallop lickety-split in order to join the ranks of the cat killers. In doing so, they demonstrate time and time again that the sum total of everything that they ever have learned throughout their long and profitable scholastic careers can be summed up in two words: kill cats. Even more alarmingly, that is the extent of their knowledge of the outside world that they impart to their naïve and highly impressionable students. Two academicians who have had the courage to stand up to their dishonest and morally bankrupt colleagues and actually come out against the government's eradication of cats have been Arian Wallach of Charles Darwin University in Casuarina in the Northern Territory and Daniel Ramp of the University of Technology Sydney. Even more amazingly, they have recommended that Australians dispense with the dishonest distinction that they have been making between native and invasive species and finally accept cats as an integral part of the environment. "Let's embrace cats as part of Australia's environment," they wrote for The Conversation on July 28, 2015. (See "Let's Give Feral Cats Their Citizenship.") "We could even rename them 'Australian wildcats'." Such a seismic change in thinking would have at least two immediate positive effects. "It would benefit the cats, because they would no longer endure our increasingly creative methods of ending their lives," the authors wrote. "We would also benefit greatly by unburdening ourselves of the task of causing suffering and death to cats." Secondly, ending once and for all time these cruel and totally barbaric en masse eradications of cats also would benefit native species. Doing so would first of all put an end to the creation of the vacuum effects that Lazenby uncovered in southern Tasmania. Leaving cats in situ additionally would prevent spikes in the population of rats, rabbits, and other species that prey upon endangered animals. "Killing cats achieves only one outcome with consistency: it produces dead cats," Wallach and Ramp astutely point out. "Attempting to remove cats from Australian ecosystems will not be a clean and painless surgery, and it will not heal the patient." Their strongest argument, however, is the moral one. "...the aim of conservation is not to generate an ever increasing body count, but to guide human behavior to enable the rest of the earth's species to flourish," they conclude. "Embracing cats is a paradigm shift. It means embracing the entirety of Australia's modern ecosystems, native and feral, and letting go of the past. It is time to accept these immigrants as Australian citizens." According to Adrian Franklin of the University of Tasmania, that is the crux of the matter in that hatred of cats has become the centerpiece of Australians' historically rabid xenophobia. In arriving at such a conclusion, he contrasts the humane treatment that they receive in Old Blighty with the systematic demonization and malice aforethought that they incur down under. "The cat arrived in England ahead of the Romans, just," he wrote in an opinion piece for The Sydney Morning Herald on January 8, 2013. (See "Hatred of Cats Hides a Sinister Truth.") "Feral cats trigger a sense of pity and charity. They embody the figure of the destitute and deserving poor, someone who must be looked after." In Australia, however, it is an entirely different story. "The feral cat looks perilously like a metaphor for the unwanted asylum seeker and immigrant. They are creatures that cross boundaries of their own volition; independent, outsider figures accused of threatening a properly Australian 'natural order'," he continued. "They threaten to fragment that fragile and threatened reality: 'Australia'." Therefore, demonizing and killing cats has very little to do with protecting endangered species. "That the scientific evidence has exonerated feral cats (from causing extinctions) is not the point," he argues. "It is not about what they do but what they have come to represent that matters here." As it is always the case, killing both animals and humans is a highly profitable business. "The performance of these rituals establishes an important role for insiders," he concludes. "Through supporting ritual purification they become exclusive custodians, and the protection of nature offers an important, irresistible source of power." Franklin could be on to something with his analysis but a just as likely scenario is that the descendants of the riffraff that England kicked out of its jails, nuthouses, foundling homes, and poorhouses are simply merciless killer who commit their abominable crimes against animals for pleasure as well as money. As is the case with ailurophobia and stupidity, it is not always easy to determine where greed leaves off and a love of killing commences. The reaction from outside the country to Australia's war on cats has been almost as anemic as that which has come from within. The one notable exception to that has been La Fondation Brigitte Bardot in Paris. From there she went on to express her opposition to both speciesism and the Australians' saturation of the environment with deadly poisons. "Tuer des chats pour protéger d'autres animaux est scandaleux, vous allez disperser dans la nature des produits nocifs, dangereux pour toutes les espèces, sans distinction et la mort par empoisonnement est une terrifiante souffrance," she wrote. She also took the opportunity to warn him, like Lazenby and Wallach, of the vacuum effect and to propose that his country adopt TNR. "En plus d'être cruel, tuer des chats ne sert à rien, d'autres chats errants se multiplieront," she wrote. "Ma Fondation travaille depius des années sur le sujet et je vous garantis qu'il n'y a pas d'autre alternative que stériliser. Les chats opérés défendent leur territoire mais ne se reproduisent plus." Adopting TNR also would be considerably cheaper than the trillions of dollars being devoted, both directly and indirectly, to eradicating cats. "Cet inhumain génocide animalier est ridicule. Vos six millions de dollars seraient bien plus utiles à la mise en place d'une campagne de stérilisation," she continued. "Ces campagnes ont fait leur preuve partout où elles ont été mises en oeuvre. Ma Fondation travaille dans le monde entier avec les vétérinaires australiens de "Vets Beyond Borders" pour stériliser, avec succès, les populations d'animaux errants." Although it is most definitely a minority viewpoint, desexing cats does have a few adherents down under. 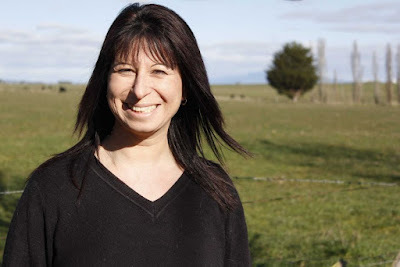 Once such enlightened individual is Rachel Beech of Longford in northern Tasmania who operates a privately-funded shelter where she sterilizes homeless cats and then endeavors to find them good homes. "I get a lot of satisfaction out of what we do here at the shelter, to be honest," she confided to the ABC on August 19, 2015. (See "From Feral Felines to Cuddly Kitties: Rehabilitating Feral Cats to Become Pets in Northern Tasmania.") "I think if it is just desexing one cat, then to me I think we've saved so many lives." Like Bardot, she fully realizes that killing cats not only does not work but, much more importantly, it is immoral. "If we can rehabilitate well, then we'd prefer that option," she added. "They're still a living being (sic), they still have rights and (need) a fair go to be able to survive and manage life (which) can be better than what they started out." Although the unconscionable murders of those innocent animals may have escaped the attention and compassion of the world at large, Bardot most assuredly has not forgotten them. "L'image de l'Australie est désastreuse, entre le massacre des kangourous ou l'abbatage des chevaux sauvages, votre pays est loin d'être exemplaire," she told Hunt. "Il est urgent de mettre un terme à ces tueries aussi cruelles qu' inutiles qui entachent votre pays du sang versé par ces millions d'animaux innocents, n'y ajoutez pas les chats!" As is the case with the cats, the vast majority of these animals could be trapped and sterilized and contraceptives could be prescribed for the remainder. If necessary, either fenced-in habitats could be created for them or they could be removed to some of Australia's thousands of offshore islands. The long and short of the matter is that Australia should put an immediate end to its crimes against all animals and learn, for once, to respect their right to live. If it is incapable of doing even that much, it should at the very least end its partisanship whereby one species is favored over another and let the animals settle the issue. She concluded by beseeching Hunt to mend his evil ways. "La cruauté humaine est sans limite mais changer d'avis est une preuve d'intelligence et d'humanité." Hunt was not about to go along with any of that and just to prove it he immediately dismissed Bardot's concerns as irrelevant. His buddy Andrews not only followed suit but added that he was in fact immensely proud of his crimes. 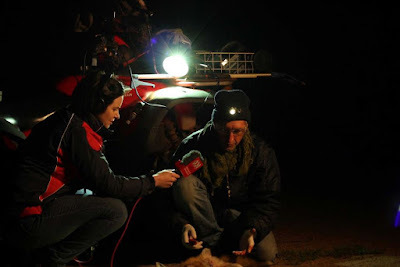 "I sleep well at night, knowing by killing cats consistent with the RSPCA's policies that I am reducing animal suffering and saving species extinction," he avowed to Deutsche-Welle in the article cited supra. Needless to say, he and his buddy Hunt would not have felt out of place laboring alongside Josef Mengele. Far from being the least bit perturbed about the wholesale atrocities that they are committing against cats and other animals, the Australians in particular and wildlife advocates in general have donned haloes and now consider themselves to be endowed with something approaching divine authority to eliminate all animals and, by extension, any individuals who dare to stand in their way. That surely must have been pretty close to how the early Christians felt about the pagan Norsemen that they systematically extirpated and that criminality carried over to the medieval crusaders who, if history is to be believed, left the streets of Jerusalem waist-deep in the corpses and blood of the Muslims that they had killed in the name of their religion and god. Kathleen O'Malley of the NYC Feral Cat Initiative in Manhattan also favors TNR over eradication and warns that killing off cats not only leads to spikes in the rodent population but that such an approach simultaneously ignores the threat posed to Australia's native species by red foxes. She, however, badly misses the boat when she further postulates that the Australian public, already a mixture of inveterate ailurophobes and complacent owners, will not go along with the government's shedding of so much innocent feline blood. PETA also has expressed reservations about the mass slaughter but they have been pretty much limited to methodological and efficacy concerns. "Not only is shooting and poisoning cats cruel, culls have been shown to be unsuccessful in the long run," a spokeswoman for its Australian chapter told The Telegraph in the July 22, 2015 article cited supra. "The use of poison in suburban areas also puts domestic cats, dogs, and carnivorous wildlife at risk." The organization's complacency in the face of such horrific carnage has proven to be too much for its most vocal acolyte, Steven Patrick Morrissey the former frontman for the English rockers The Smiths, and he has broken ranks with it and in no uncertain terms condemned he slaughter. "Wie wir alle wissen, wird die Erde von Idioten regiert," he is quoted as saying by LooMee TV of Oberhausen in Nordrhein Westfalen on August 29, 2015. (See "Morrissey setzt sich gegen Katzen-Tötungen ein.") "Aber diese Dummheit geht zu weit." From that spot on overture, he progressed to forcibly refute Read's and Staples' outrageous lies about 1080 being a humane poison. "Die Katzen werden auf grausame Weise getötet, mit hochgiftigem Natriumsalz (1080), das einen langsamen und qualvollen Tod herbeiführt," he declared. Although he hit the nail on the head when he accused Abbott of being on the payroll of sheepherders he, like O'Malley, erred grievously by arguing that the hoi polloi do not support the cull. "Die Bevölkerung von Australien hätte dem niemals zugestimmt, aber sie wurden nicht gefragt, weil die Regierung rund um Tony Abbott nur ein Komitee aus Schafzüchtern ist, die keinerlei Skrupel gegenüber dem Tierschutz oder Respekt vor der Tierwelt haben." Leider, it is just too bad that his behavior has failed to keep pace with his lofty rhetoric. For example, he recently just completed a concert tour of Australia and that followed on the heels of earlier ones that he had staged there during 2012, 2015, and possibly at other times as well. In spite of his numerous shortcomings, his vision on the whole is highly commendable. "There are laws of protection for dogs, so why not for cows? If you can be prosecuted for cruelty to a dog, then why not a cow? Doesn't everything have the right to lead a natural life? Animals have nothing at all but the enjoyment of their lives...so why take that away from them?" he argued to news.com of Surry Hills on August 2, 2016. (See "Morrissey on Avoiding Brisbane and Only Playing in Australian Venues Where No Meat Will Be Served.") "It's the flesh-eaters that are the true cranks, and the farmers who look upon sheep and cows as their property. If you have a cat you don't refer to it as property. It is morally wrong to make money from the death of any living being." Alley Cat Allies (ACA) of Bethesda, Maryland, also has come out in opposition to the Australians' war on cats. "Alley Cat Allies strongly condemns this cruel and ill-conceived plan, which supports the shooting, poisoning, and lethal trapping of community cats on five islands and multiple mainland 'feral-free' areas," the charity declared in an August 27, 2015 press release. (See "Alley Cat Allies Condemns Australia's Senseless Cat Killing Pan.") "The Australian government's goal is to 'cull' the cat population, but 'cull' is just a euphemism. They are killing cats, and it's as inhumane as it sounds." Ethicist William Lynn of Clark University in Worcester, Massachusetts, has arrived at the only halfway sane conclusion that presents itself to any fair-minded individual. "It is time to stop blaming the victim, face up to our own culpability and seek to rewild our world with an eye to the ethics of our actions," he wrote October 7, 2015 in The Conversation. (See "Australia's War on Feral Cats: Shaky Science, Missing Ethics.") "There is no justification for a war on outdoor cats, feral or otherwise, based on shaky science and an absence of ethical reasoning." The ancestors of present-day Australian cats accordingly were rounded up in England and shanghaied into coming to Australia. Plus, untold numbers of them doubtlessly perished en route during those long and hellish sea voyages. Upon arrival, life certainly did not get much better for them. Although many of them were able to find gainful employment as both mousers and companions, that did not last long and soon they found themselves abandoned in a strange and forbidding land where they were forced to fend for themselves. Still others were shipped out of the mainland and dispersed far and wide on innumerable islands. Being the diabolical monsters that they always have been, the Australians failed not only to provide them with either any form of shelter from the elements or protection from predators, but they even were too cheap to supply them with either food, water, or veterinary care. Every bit as callous, they deprived the cats of all human companionship and sociability. Now that they have discovered that there are huge sums of money to be made from preserving endemic species and restoring habitats, cats have been demonized as pests and their eradication has been decreed by way of every cruel and inhumane method imaginable. The same holds true for all the other imported species that they are demonizing and extirpating en masse. The Australians can lie their ugly little faces off until doomsday but that never is going to alter the fact that they have an irrevocable moral obligation to do right by their imported species. That means first of all respecting their inalienable right to live and, secondly, to provide them with, properly understood, humane care. Considering how horribly that they have exploited, abused, neglected, and demonized them in the past, that is the very least that they owe them. The unjustness, cruelty, and criminality displayed by the Australians is trumped only by their greed, mendacity, and the pleasure that they are exuding as they go about their cruel business. "The mind of man is capable of anything -- because everything is in it; all the past as well as the future," Joe Conrad observed in his 1899 novel, Heart of Darkness, and in that light it seems as if all the accumulated evil that has been percolating in it down throughout history has settled in the black souls of the Australians just so that it could erupt like a volcano at this moment and wipe out all cats and other animals in its wake. Most depressing and frustrating of all, there is precious little that the average conscientious individual can do in order to stop the slaughter of all these cats and other animals short of hiring and training a team of mercenaries to invade the continent. That reality alone surely must provide the Australians with an enormous sense of both pride and hubris as they continue to snicker up their blood-soaked sleeves at the wishes of the rest of humanity. Despite the hopelessness of the situation, sitting idly by and doing absolutely nothing is not an option for those who truly care about cats. Fans of the species may not be able to stop the atrocities but they at the very least should refrain from subsidizing them and in that respect strict adherence to ACR's call for a boycott of all products and travel to Australia should be religiously observed. The only exception to that would be rescue missions designed to bring out cats from the country alive. Such a boycott could even be expanded to include sports teams and schools that employ Australian athletes as well as venues that host their entertainers. All American firms that do business down under, such as Kentucky Fried Chicken, also should be boycotted. In short, anyone, anything, and every entity that has even the slightest connection with Australia should be avoided like the plague. Likewise, whenever any politician, no matter how petty, comes calling for money and votes he or she should be queried about Australia's slaughter of cats. Unless that individual is willing to support the severing of diplomatic relations, the imposition of an economic embargo, the denial of entry into this country of all Australian citizens, including exchange students, the country's expulsion from the United Nations, nullification of the Australia-New Zealand-United States Treaty (ANZUS), and the putting of an end to the sharing of NASA data with the cat killers, money and votes should be withheld. The only truly just solution would be an armed takeover of the country followed by the prompt arrest and imprisonment of all animal killers. An international tribunal then could be established along the lines of the one that was set up in Nürnberg in 1945 in order to, hopefully, convict and imprison them for the remainder of their days. That suggestion is not nearly as far-fetched as some would believe in that courts already empowered to try individuals accused of committing crimes against humanity likewise should have the jurisdiction to hear cases involving crimes committed against the animals and Mother Earth. In fact, the case for doing so is even more compelling given that the latter are unable to either protect themselves or to defend their rights. It even could be argued that the failure to do so is not only grotesquely unjust but, given what is at stake, insane as well. Such a development is, admittedly, not in the offing at this time but individuals of conscience cannot merely do nothing as they did between 1977 and 1991 when Marthán Niewoudt Bester of the University of Pretoria and his henchmen systematically annihilated more than thirty-four-hundred cats on Marion Island, near Antarctica. Twelve-hundred of them were intentionally infected with the Feline Panleukopenia Virus (FPV), also known as the feline distemper, while the remainder were, inter alia, either shotgunned to death, killed by dogs, or poisoned with 1080. Even though the cats were murdered in vain and the South Africans' attempt to restore Marion to some semblance of its preconceived idyllic past, that may or may not ever have existed, has been a miserable failure, Old Bester Bird is still living high on the hog as he struts and preens around campus all the while acting out his self-anointed rôle as a great conservationist. He additionally continues to churn out his voluminous anti-cat screeds like a runaway printing press that does not know when to stop and, above all, to inculcate new generations of students into believing in his prejudices, lies, and total lack of morality. Whenever he tires of that, he sails once again to Marion like a criminal unable to resist the temptation of returning to the scene of his crimes in order to relive his glory days. The Internet was not around when Bester was committing his evil deeds and most people therefore were ignorant of what he was doing. The world at large therefore can be largely excused for remaining silent but that most definitely is not the case with the even worse crimes that are now being committed against the animal kingdom down under. The only logical conclusion to be drawn from humanity's indifference is that most individuals either support the carnage or are too self-absorbed to even care one way or the other. In either case, what Anne Sewell once said more than a hundred years ago is still every bit as relevant today. "That is a selfish, heathenish saying, whoever uses it, any man who thinks he has nothing to do but take care of number one, why, it's a pity that he had not been drowned like a puppy or a kitten, before he got his eyes open, that's what I think," she wrote in her 1877 masterpiece, Black Beauty. "My doctrine is this, that if we see cruelty or wrong that we have the power to stop, and do nothing, we make ourselves sharers in the guilt." In the United States, not only are Marra and the Smithsonian vowing to do likewise but they have been joined in an unholy alliance by Georgie "Porgie" Fenwick of the American Bird Conservancy and Ted "Slick Willie" Williams and the National Audubon Society. Even more disturbing, these fiends already enjoy the unqualified support of just about every department of any significance within the national government and all that they are waiting for is the silence and inaction of ailurophiles and other concerned citizens before springing into action. As things eventually turned out, Rainsford had pause to regret those words once he wound up marooned on Ship-Trap Island in the Caribbean where he subsequently fell into the clutches of General Zaroff. Although he ultimately was able to prevail in the end, long before that happened Zaroff had shown him what it is like to be hunted down like an animal. It is far from clear but it would appear that he never learned much of anything as the result of his misadventures in that after he had killed Zaroff he not only took possession of his house but, according to Connell, he later declared that he "had never slept in a better bed." In other words, as far as most men are concerned, the killing and stealing never ends. Morality, justice, and sociability never have been man's strong suits even under the best of circumstances but now in an overcrowded world that is populated primarily by bigoted, greedy killers there is precious little Lebensraum left for either the animals or those individuals who want something more out of life. Accordingly, the day is fast approaching when individuals even in the United States are going to be forced into taking up arms in order to protect not only their cats but their every own lives as well. Like it or not, Rainsford was right. When push finally comes to shove in this wicked old world there are only "hunters and huntees." Photos: the ABC (Read, Staples, Andrews, and Slattery aiming at a cat, goats, dingoes, Stokeld dissecting a cat, McClean, cat killed by Sandow in Exmouth, Napangarti, and Beech), The Sydney Morning Herald (Moseby), Daily Mail (Hunt), Twitter (Slattery with a dead cat), Facebook (Slattery with several dead cats), Wayne Lawlor of the Australian Wildlife Conservancy (Sally and Brangul), and the United States Office of Personnel Management (Berry).